Home PnP PowerShell PowerShell Recycle Bin SharePoint Online SharePoint Online Management Shell Site Collection SharePoint Online: How to Restore a Deleted Site Collection using PowerShell? 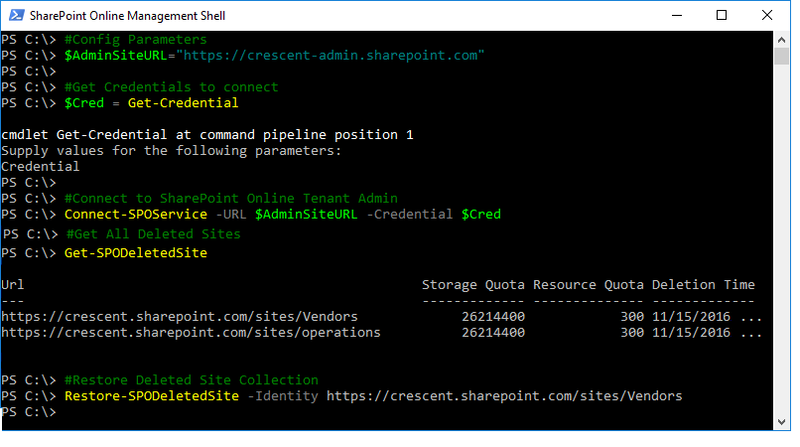 SharePoint Online: How to Restore a Deleted Site Collection using PowerShell? 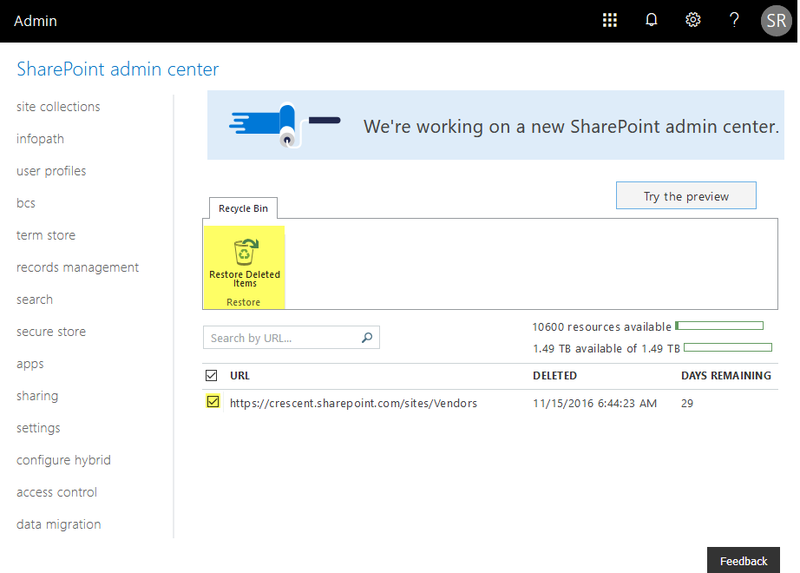 Requirement: Restore a Deleted Site Collection in SharePoint Online. 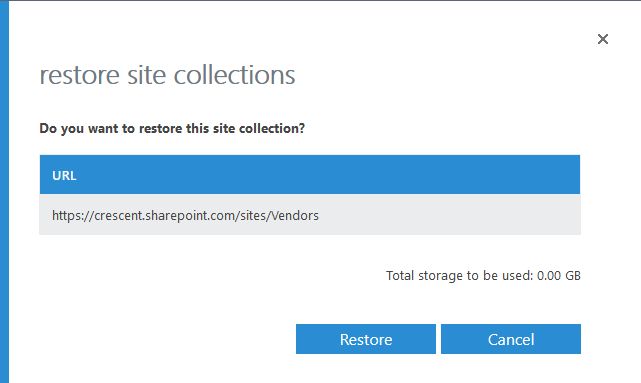 How to Restore a Deleted Site Collection in SharePoint Online? Login to SharePoint Online Admin Center >> Click on "Site Collection" link in left navigation. On the ribbon, Click on "Recycle Bin" button. You'll see the list of all Site Collections which are deleted along with when they were deleted, and how many days are remaining before they disappear from the recycle bin. Click on "Restore" button in the Popup window to restore the selected site collection. When a SharePoint Online site collection is deleted, it is placed in the recycle bin for 30 days, then it is permanently deleted. Recovering a SharePoint Online site is quite easy. Here is the PowerShell to restore deleted site collection. Let's recover deleted site collection in SharePoint Online using PnP PowerShell. Write-Host -f Green "Site Collection '$DeletedSiteURL' Restored Successfully!"